Here we are at the beginning of summer! Everything is ahead of itself and its proving tricky to keep everything watered. There was the nasty frost in the second week of May, I hope that you didn’t lose too many plants. The leaves on some trees were badly burnt; Walnuts, Oak, Rhus to name a few — all will recover. Leave grass longer and cut less often. Prioritise anything planted in the last 12 months for watering over and above your lawn, as the lawn will come back after heavy rain. We are just starting to plant out summer bedding. 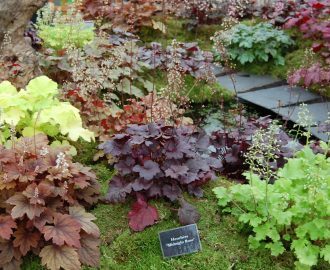 Try to use some perennials in hanging baskets or containers; Heucera, various grasses- Festuca glauca is lovely & compact ( also try Dahlias for your centrepiece as a long-flowering display into the Autumn), these can then be reused in the garden once the displays are finished. 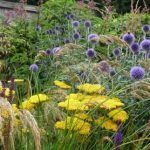 If you are thinking of doing any projects in your garden, now is a good time to begin planning. 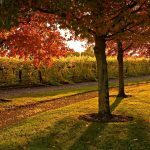 In my opinion the best time to build & plant a new garden is September-November. Stake all your perennials now if you haven’t already. 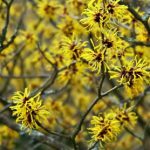 Prune Spring-flowering shrubs. Shade your greenhouses to keep them cool & prevent scorch. Regularly spray your roses for green-fly & black spot. Also try ‘Uncle Tom’s’ Rose fertiliser from Fryers Nursery. Dead-heading to ensure continuous flowering. Clear algae, blanket weeds & debris from ponds & keep them topped up. Check Clematis for signs of Clematis-wilt. 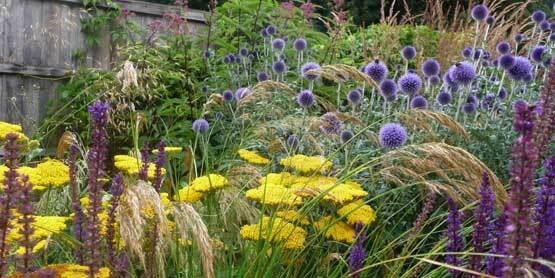 Cut back foliage & stems of herbaceous plants that have already died back. Collect seeds from favourite plants. Keep ponds & water-features topped up. Why not treat someone to a JW Landscapes Gardening Gift Voucher? Contact Will for details.